The inn is currently sleeping guests, but still under construction and we are all super excited about their completed renovations. 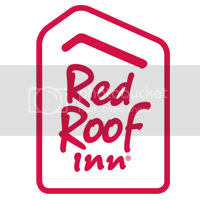 You can find the Red Roof Inn Irondale, nestled in the heart of Alabama on the eastern edge of Jefferson County. The headquarters of the Eternal World Television Network (EWTN) is located in Irondale. The city sits in a valley with the Red Mountains to the north and Cahaba or Shades Mountains to the south. The popular movie, Fried Green Tomatoes was written by Irondale native, Fannie Flagg and based on the legendary, Irondale Café. When in Irondale, make sure to visit the Birmingham Botanical Gardens, the Alabama Sports Hall of Fame, Meyer Planetarium or Birmingham Zoo. The annual Whistle-Stop Festival attracts thousand to its eclectic mix of art, food and music. Irondale has plenty to see and lots to do. Even though the property is currently under construction, you can still plan a stay in one of the remodeled rooms with vinyl plank flooring and a vessel sink. All rooms offer free WiFi, flat screen TV and Direct TV with Showtime. Microwave & refrigerator, hair dryer, iron & ironing board are also included in every room. Look for the completed renovations in May and stay with the brand new PLUS+ property!